The end of the wedding season is near and our way to say “Thank You” is this givaway of a brand new FujiFilm Instax mini70 camera. This little fella is perfect for taking selfies on weddings, so be prepared for the upcoming Wedding season and enter our giveaway. 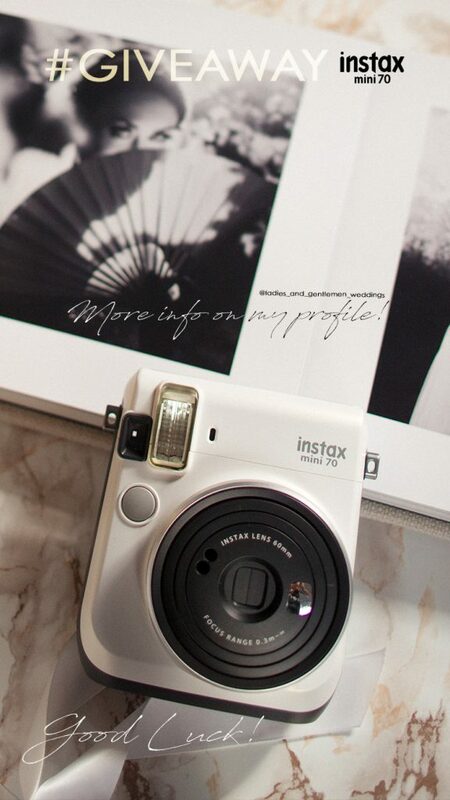 Follow us on Instagram or Facebook for details, we have unlimited entries per person, raise your chance to be the new owner of this cute Instax polaroid camera!